Naturally, every parent wants the best for their children and ensuring they grow into well-rounded adults is a big part of that. 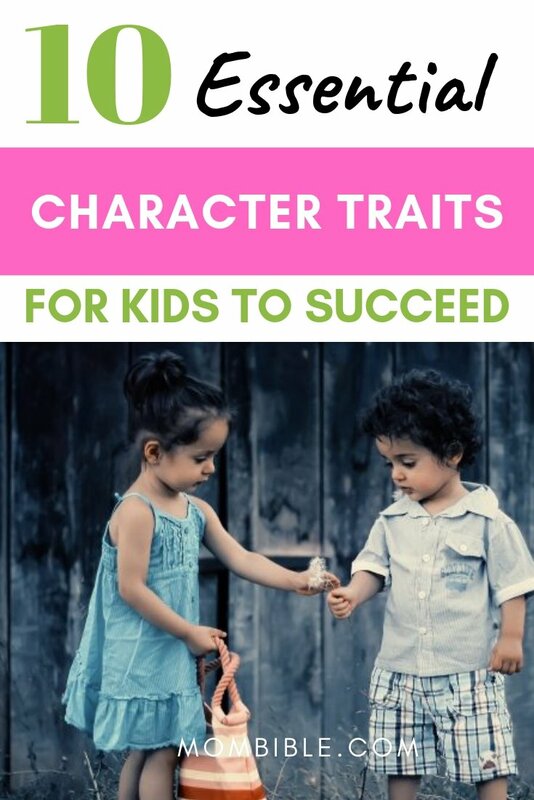 Developing good character traits in your kids can set them up for the rest of their days helping them to lead healthy, happy and successful lives. Although not necessarily entirely accurate, it certainly reminds us that character isn’t something rigid and unshakeable. It is something capable of being molded and influenced. To develop the most valuable traits in our children, we need to offer them the right kind of support and guidance, be good role models and inspire solid beliefs that will build these good character traits. We are social beings and interacting with others is a basic part of everyday life. Therefore, ensuring your child can communicate effectively is crucial to a happy and successful life. Being good at communication will serve your child in many areas of life, including academically, personally and professionally. Children who operate well in social interactions tend to excel at school and have a better self-esteem. The reality is that some kids are innately outgoing and have an edge when it comes to communication, while others may find it more difficult. The best activity to do to instill excellent social skills is simply by interacting with kids, but when you face barriers, parents can use a range of helpful social skills activities, that includes conversation games and ways to work on listening skills. Being honest is the foundation of all relationships, both professional and personal. An honest person is someone who can be relied upon. It’s also a person who doesn’t have to live with the guilt that comes with lying to people, so is more likely to be content. All kids lie from time to time and when they do, the key is to approach the situation the right way. The worst thing to do is to punish them as this may have the result of making them fear consequences in the future and possibly encourage them to partake in even more lying. Instead show that you are disappointed in them lying and encourage them to tell the truth instead, even if they may have made a mistake. Caring for others is a great way to feel better about one’s self and fostering a society where everyone feels included and cared for is definitely a positive thing. In fact, notable psychologist Dr. Michele Borba highlights the importance of promoting empathy in children, in order for them to succeed. Not only does empathy allow children to develop deeper connections with others, it also allows them to develop their emotional intelligence. Great ways to develop empathy in children is to leads by example and show them kindness at every opportunity. You can also explain to them the importance of being kind to others and outline your expectations. By helping them understand its value and show them how to express it by example, they will feel comfortable to show empathy to others. Due to the very nature of the modern world, youngsters seem to be finding it more difficult than ever to master the art of patience. Being able to wait for something is not only part of normal adult life, but it is essential for our mental well-being, without it, a life of frustration is what waits. In simple terms, patience is the ability to withhold decision making while you make an informed decision, therefore, creating a life of happiness and harmony. In order to develop this trait well in kids is to practice, try this – at meal times make them wait a set amount of time before leaving. This will teach them how to withhold gratification and to control that inner frustration, essential for them to develop into a well-rounded individual. Self-confidence arises from having confidence in one’s own abilities, which in turn affects how people behave and ultimately impacts their happiness. A healthy self-esteem is crucial to a child having confidence, which in turn allows them to pursue their dreams and achieve their goals. The key to developing confidence in a child is to praise them when they make achievements, as well as encouraging positive behavior, instead of focusing on and punishing negative behavior. It’s also important for you to be realistic, teach them that failures are a normal part of life and allow them to overcome any barriers they face independently. You may be tempted to help them out at every opportunity, but it’s worth remembering that you won’t always be around to help them. Being able to face barriers alone is an important life skill to have. In today’s competitive world, being able to endure the hard times is essential for success. There’s no use in teaching your child that they will get rewarded without having to endure something they don’t necessarily enjoy. Teach your kids how to withstand stress and pressure, and that the rewards for doing so are great. Taking part in sports is a great way to foster both mental and physical endurance. Respect is all about how you feel about someone and how you treat them. It is vital for developing respect in children so that they know how to treat themselves and others. In order to do this, you need to lead by example, treat your child with dignity and show them how it’s done. Even when your child is being disrespectful, it’s important to maintain positive parenting since your child won’t learn how to be respectful of you being disrespectful. A child isn’t usually faced with the question of what it means to have integrity until they are faced with difficult moral questions. It’s mainly about sticking to your core principles and understanding the difference between right and wrong. You can make your child understand the value of this trait by having a family discussion about potential dilemmas. For example, discussing what they would do if they saw a friend steal something. Discussing these difficult questions may be tough, but it equips them for the real world. Children need to know how to regulate their own behavior, in order to make healthy and successful decisions. This comes about as a result of them understanding what is expected of them and the consequences that may result from making the wrong decisions. In order to promote good self-discipline in children teach them about making healthy choices – explain why they have to do something and the resulting reward. For instance “Once you tidy your room you will have the free time to play with your toys”, this is much better than simply saying “Go and tidy your room”. You should also always reward positive self-discipline to reinforce the behavior in your child. This is an impressive trait that employers appreciate more than anyone else – the ability to recognize what needs to be done and taking action before being instructed to do it. The easiest way to promote this trait in your child is to explain the principle and then reward them when they incorporate it into their daily routine. For instance, explain to them that if they notice their room is untidy they should organize it without being asked, if they do, give them a nice reward for encouragement. What Traits do you think are most important? Raising your child to have a good character will take time, but as long as you approach it with awareness and persistence you will succeed. What good character traits do your kids already show that makes you feel proud to be their parent? This is a great post! I really like these traits because so often parents can tell their kids it’s important to be the best at sports, be smart, get good grades, be strong, beautiful, etc. The truth is the best traits come from inside. And I especially like the respect one. This is not being taught enough to the current generation. Agree on all of this especially number 9! It’s so hard to teach it though. I feel like that comes with age and then patience for parents. Respect is another big thing too. Too many kids these days feel very entitled and show no respect to anyone. This is a great post! My children are already showing these character traits. But, the best traits are integrity and respect. These traits are a major part of who I am and what I try to instill in my children. You are spot on with this post! All of these traits are so important! I would also like to add faith/faithful. As a Christian family, keeping the faith and having faith in others is so important! These are all such important skills to have the three I’m working on with my two toddlers right now is empathy, honesty, and patience. Empathyand honesty hasnt been that hard, but patience and toddlers is a pretty tough one to master. Luckily, as of now both my kids have good social skills.